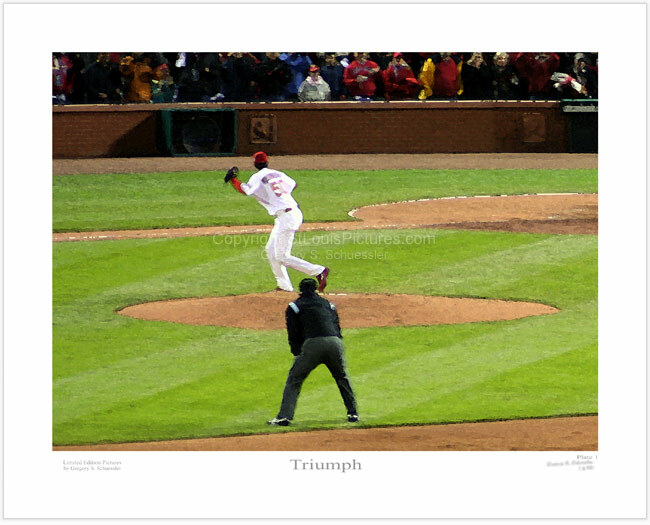 This picture displays the St. Louis Cardinals closer Adam Wainwright as he struck out 3rd baseman Brandon Inge for a 4-2 victory over the Detroit Tigers on October 27, 2006. This picture is part of a four plate series. Plates 1 thru 3 show action from various areas of the full version depicted in plate 4. View plate 2, plate 3 and plate 4.